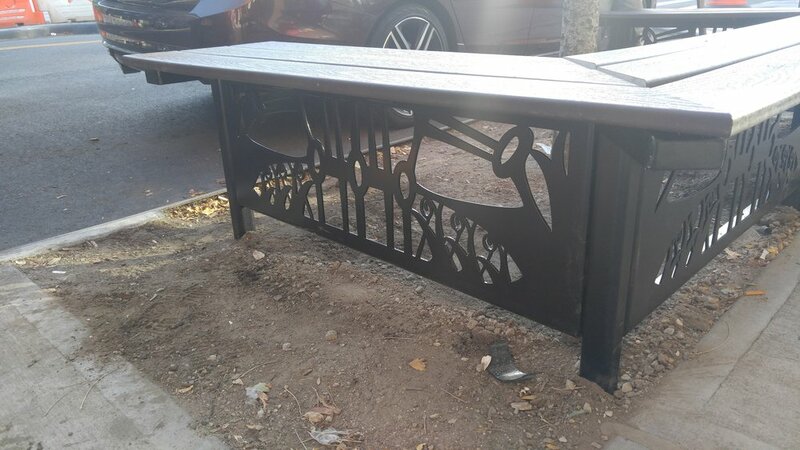 At the end of 2015, I came across a open call for designs to be submitted to the Myrtle Ave Partnership for new tree guards that were to be installed along the avenue. The theme was to honor and celebrate jazz musicians that lived or were from Brooklyn. I submitted a design I called “Trumpet Flower”, which was inspired by Slide Hampton (1932), Lester Bowie (1941-1999) and Branford Marsalis (1960), all masters of the horn section from different eras. As an avid jazz and swing dancer, I thought of how Brooklyn and Clinton Hill in particular have been home to so many incredible jazz musicians. As a dancer, the horn section is often times my lead into the dance, transporting me into the song, carrying the energy from the band to the audience, so I decided to try to capture this feeling. The visual shape of a trumpet is both organic and dynamic, it has a natural quality to it which led many types of flowers to be nicknamed “trumpet flower”. This seemed to perfectly fit my project of making a tree guard inspired by the energy of a jazz horn section. As I was doing my research, I came across this quote from John Coltrane: “All a musician can do is to get closer to the sources of nature, and so feel that he is in communion with the natural laws” which seem to both validate and illuminate my goal with this project. If you ever pass by 485 Myrtle, look down, there's my tree guard! 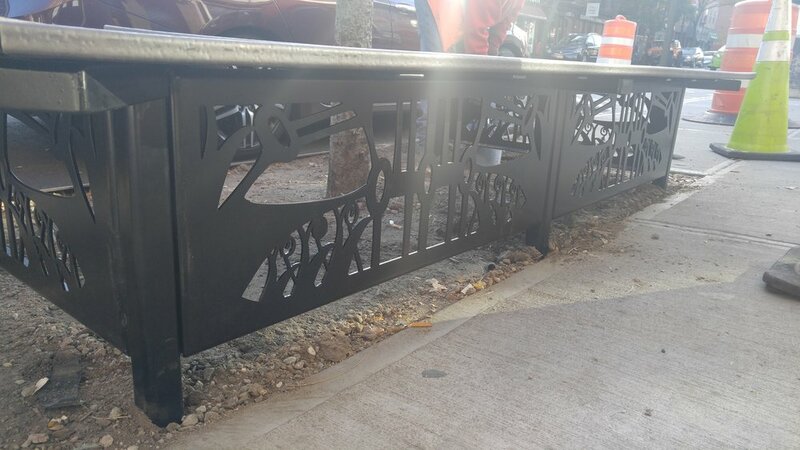 My design was accepted in early 2016, and installed over the Summer. One warm morning, I met up with the construction crew and watched them install the guard. I did offer to help, but they laughed me away. My mom proudly sitting on my bench!